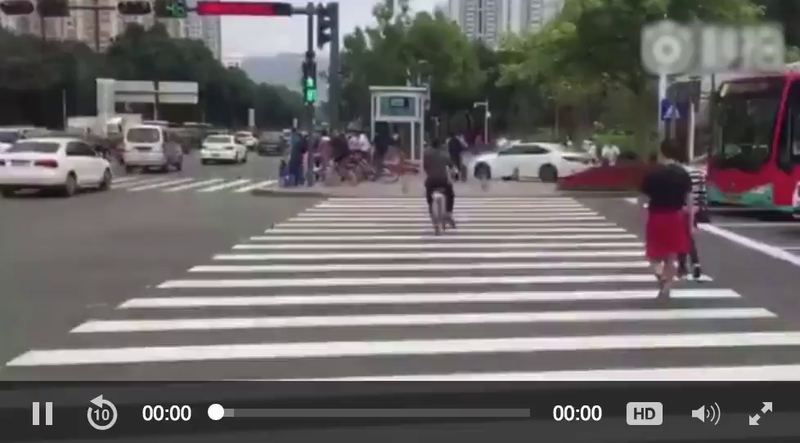 (by Li Tao, Hong Kong’s SCMP) – Traffic police in the southern Chinese city of Shenzhen have [begun using]… Intellifusion, an artificial intelligence and facial recognition technology company to target jaywalkers. [With this technology, jaywalkers in this city of 12 million] will not only be publicly named and shamed, they will be notified of their wrongdoing via instant messaging – along with the fine. First-tier Chinese cities like Beijing and Shanghai have already employed AI and facial recognition technology to regulate traffic and identify driver’s who violate road rules, while Shenzhen traffic police began displaying photos of jaywalkers on large LED screens at major intersections starting in April 2017. In other law enforcement applications, police at [a] high speed rail station in Henan province have been equipped with smart glasses with facial recognition software that can identify wanted criminals, while Beijing police are using the world’s first surround-body camera with inbuilt facial recognition technology. As of February, as many as 13,930 jaywalking offenders were recorded and displayed on the LED screen at one busy intersection in Futian district, the Shenzhen traffic police announced last month. Taking it a step further, in March the traffic police launched a webpage which displays photos, names and partial ID numbers of jaywalkers. These measures have effectively reduced the number of repeat offenders, according to Wang. The next step – informing the errant pedestrians by text or Weibo instant messaging – could have the added benefit of eliminating the cost of erecting large LED screens across the cities, he said. The system will also be able to register how many times a pedestrian has violated traffic rules in the city and once this number reaches a certain level, it will affect the offender’s social credit score which in turn may limit their ability to take out loans from banks, Wang said. …Shenzhen has one of the most transient populations in China, so many people do not have their information registered in the database of the traffic police, even though anyone staying in the city for more than 30 days is required to do so. That means authorities can only currently identify 10 per cent of offenders using the AI facial recognition system. Wang said that percentage is expected to surge after the databases of different government departments are set to merged in the near future. Published at South China Morning Post (SCMP) on March 27.
b) Describe what Intellifusion’s AI technology does. – How does it work? c) What further step is Intellifusion taking with mobile and social media companies? d) How many people have been caught since the system launched in April 2017? e) What information do the police put on a new webpage? 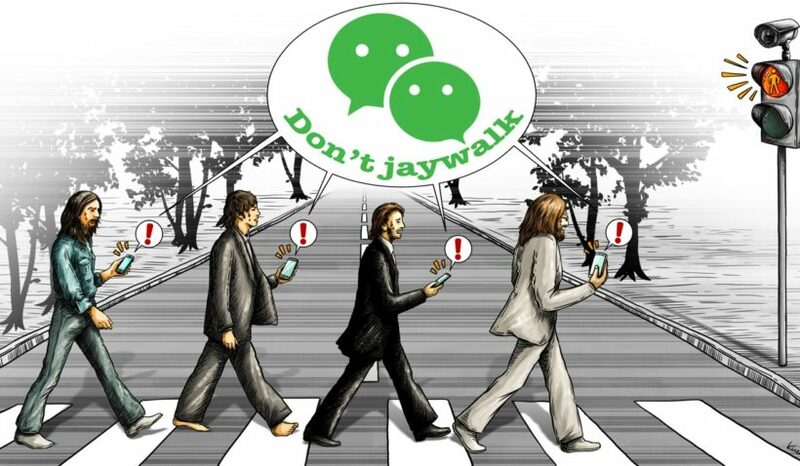 – Besides the obvious, what negative effect will this have on Chinese who jaywalk?